The Scottish Medicines Consortium (SMC) has accepted 5 new medicines for routine use by NHS Scotland, it has announced. Albiglutide (Eperzan), also for the treatment of type 2 diabetes. Sorafenib and tolvaptan were accepted for use after consideration under SMC’s PACE (Patient and Clinician Engagement) process. PACE aims to improve patient access to new medicines for the treatment of end of life and very rare conditions. Sorafenib is used to treat a type of liver cancer called hepatocellular carcinoma, which affects a small number of patients. During the PACE meeting, it was highlighted by patient groups and clinicians that this cancer is often diagnosed at an advanced stage and patients have a poor prognosis. Sorafenib, which is taken orally, is the only treatment with evidence of benefit in patients who are not suitable for surgical treatment and SMC accepted it for use in these patients. Tolvaptan is used to treat the inherited kidney disease ADPKD, where fluid filled cysts grow in the kidneys causing a loss of kidney function. In the PACE meeting, it was noted that symptoms generally first appear in a relatively young patient group who are often working or raising children. Tolvaptan is the first medicine to address the underlying causes of ADPKD. It can help to slow the rate of decline in kidney function thus delaying the need for kidney dialysis. There are currently no other licensed treatment options for ADPKD. The Committee also accepted two injectable medicines for the treatment of type 2 diabetes, dulaglutide and albiglutide. Patient groups highlighted that both medicines are once weekly treatments that may be beneficial for some patients. In Scotland, more than 275,000 people have diabetes, with an estimated 45,500 living with the condition without a diagnosis. Dulaglutide will now be available in Scotland as part of a triple therapy in patients with inadequate glycaemic control on two oral anti-diabetic drugs, as an alternative GLP-1 receptor agonist option. 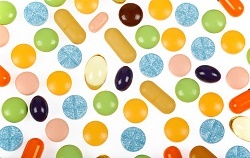 Further details of all medicines can be found on our website.